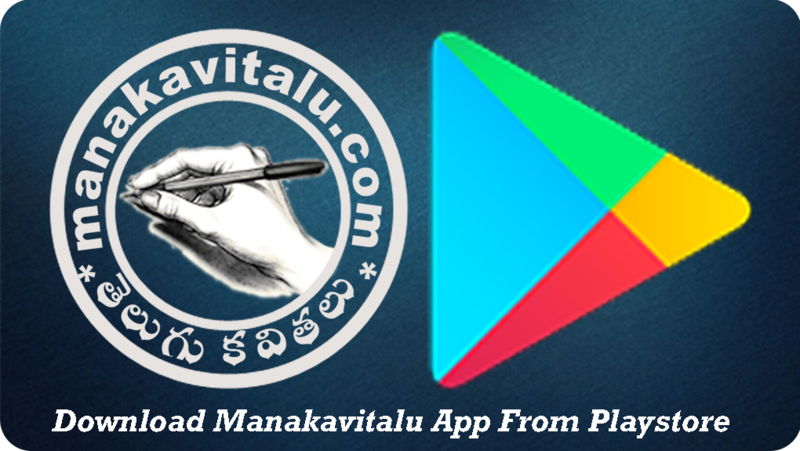 All quotes / kavithalu published here are subjected to copyright to manakavitalu.com . One must take permission before copying and republishing, reusing for commercial / personal use or any type of usage. Violation of Copyright Rules may lead to take action accordingly..
YOU MUST SUBMIT YOUR OWN CONTENT . NO COPIED CONTENTS ARE ALLOWED TO SUBMIT . AFTER SUBMITTING, MANAKAVITALU.COM RESERVES ALL THE RIGHTS ON THE CONTENT . DEPENDING ON QUALITY OF CONTENT WE DECIDE WHETHER TO POST OR NOT. YOUR SUBMISSIONS MAY BE MODIFIED IF REQUIRED. ONLY TELUGU MESSAGES ARE ALLOWED TO SUBMIT (NO OTHER LANGUAGE). AFTER SUBMISSIONS YOU MUST WAIT FOR SOME TIME WHILE WE SCHEDULE THEM. MOST IMPORTANTLY WE DON'T PAY ANY AMOUNT TO ANY OF YOUR SUBMISSION. THAT MEANS ITS TOTALLY FREE. WE NEED AT LEAST ONE WEEK TO RESPOND TO YOUR REQUEST. SO PLEASE REQUEST BEFORE ONE WEEK FROM THE DAY YOU NEED IT. WE'LL TRY OUR BEST TO COMPLETE YOUR REQUEST SOME TIMES WE CAN'T.